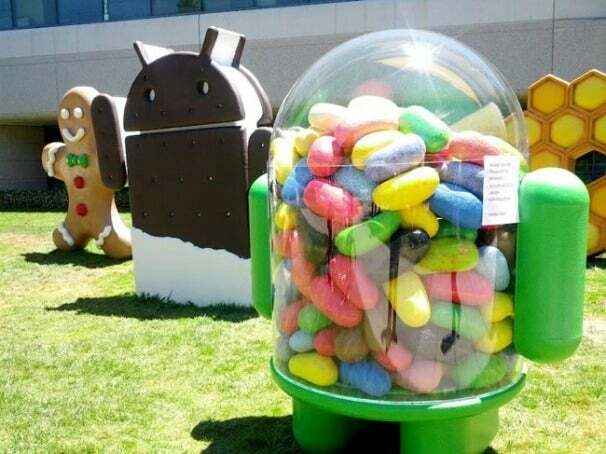 Now that the source code for Android 4.1 Jelly Bean is available, the update announcements from phone makers are starting to roll in. HTC is the first phone maker to confirm Jelly Bean for some of its phones. The HTC One X, One S, and One XL will all get the update to Android 4.1, but the company didn't announce timing, carrier-specific plans or the fate of other phones, such as Sprint's Evo 4G LTE. Other phone makers have been less forthcoming. Samsung told Pocket-Lint last month that it will “review the possibility of implementation to existing Samsung products” with the update, but offered no specifics. Sammobile has reported that the Galaxy S III could get Jelly Bean in August or September, and that the Galaxy S II passed Samsung's initial tests for the update. None of those details have been confirmed by the company. As Pocket-Lint reports, Motorola, Asus, LG and Sony have yet to comment on upgrade plans. As for Google's lead devices, the Jelly Bean update is coming to the unlocked Nexus S and Motorola Xoom Wi-Fi tablet, and is already available for the unlocked Galaxy Nexus. Update status remains unclear for the Sprint and Verizon versions of the Galaxy Nexus, the Sprint Nexus S and the Verizon Motorola Xoom. Of course, Google's Nexus 7 tablet comes with Android 4.1 out of the box. Google wants to make Android updates easier for phone makers with a “platform development kit,” which will provide preview versions of upcoming OS versions months before they are released to open source. A handful of manufacturers received a beta PDK for Jelly Bean, but it's not clear which ones. Many companies, however, are still trying to deliver the previous version of Android, Ice Cream Sandwich, to phones and tablets. According to Google, roughly 11 percent of devices that have accessed Google Play in the last two weeks are running Android 4.0 or higher. If you get tired of waiting, chances are the hacker community will have an update for your phone before the phone makers and wireless carriers do. The team behind CyanogenMod has already released a preview version of CyanogenMod 10, with Jelly Bean, for Samsung's Galaxy S III. Samsung has not made it official when the Galaxy S III will get Jelly Bean, however there is news the update will be delivered no later than September. But even if you're comfortable rooting and flashing new ROMs, it's still a little early to dive in unless you don't mind broken features and general instability. Android 4.1 isn't a major update, but it greatly increases the smoothness of the operating system and includes access to Google Now, a sort of Siri competitor that tries to deliver important information automatically. For more on Android 4.1 Jelly Bean, check out Armando Rodriguez's test drive of the OS.